W Hotels Worldwide will go on to present what is new and upcoming in design and style with the opening up of 6 new W Hotels around the globe this year. Style and design have been the main area of focus for W Hotels ever since the launching of the David Rockwell-designed W New York over twelve years ago. W Hotels is a modern, design-oriented lifestyle brand and one of the foremost industry leaders with 38 hotels and resorts within the most lively urban centers and spectacular locations all over the world. Impressive, legendary, progressive and innovative, W Hotels offers the epitome of insider accessibility, providing a distinctive mixture of cutting-edge design and interests about fashion, new music and amusement. 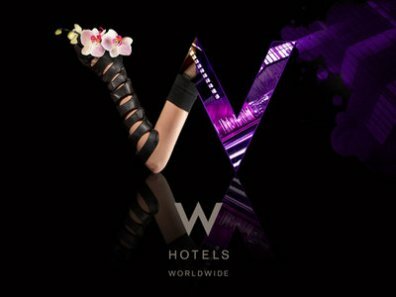 W Hotels provides a all natural lifestyle experience which is built-into the brand’s feeling by means of modern restaurant ideas, extravagant entertainment encounters, fashionable retail principles and unique health spas. Exceeding twelve years of demonstrated achievement, W Hotels is on target to accomplish over fifty hotels towards the end of 2012. W Hotels and W Retreats are already planned for Paris, London, Taipei, Bali, St. Petersburg, Guangzhou, Bangkok, Athens – Astir Palace, Shanghai, and Verbier. Design is one of the fundamental elements of the W brand and as W has become more of a giant in the industry, they have developed their particular style and design strategy to consist of taking into account the surrounding area which contributes to contextually relevant designs that are brought together by W’s unique sense of style. W Hotels enjoyed a thrilling place of distnction in 2010 at important worldwide design weeks, starting the year by launching a joint venture with Design Miami/Basel, the most significant forum for international design. Closing out an eventful 2010, W Hong Kong hosted a number of special attractions, meals and presentations throughout Hong Kong’s annual Business of Design Week. With such a successful 2010, an even better year is eagerly expected as W’s high profile hotels are unveiled to the world.